Mid Carolina Rifle Club (MCRC) is a private, membership shooting club that was established in 1973 by several prominent business men from Columbia. Originally formed as a bench rest rifle club with only a few members and one range, it has steadily grown to 15 ranges and between 500 to 600 members with room for more. MCRC is a non profit organization. Since its beginning, MCRC has always been a volunteer run range. We are proud of the many firearm enthusiasts that have given their time to help make club what it is today. When they join MCRC, nearly every new member tells us they want a safe place to shoot. As responsible gun owners, we realize safety is a MUST. Many members come to the range to teach safe gun handling skills to their children and grand children. We are proud to be a facility that offers family membership. Our range is also proud to be a place where families can come together, spanning generations, to hand down traditions of marksmanship, hunting, sportsmanship and defensive gun ownership. In addition, MCRC strongly supports the shooting sports. Monthly matches provide an opportunity for members and non-members to hone their skills. Monthly matches are open to the public, giving you the opportunity to experience shooting at its best. There is an open invitation from all our Match Directors, if you are interested in trying a discipline, to help you get started. Competition at MCRC is run according to the rules set out by national shooting organizations like the NRA, USPSA – IPSC, IDPA, SASS, Steel Challenge, and NCOWS. 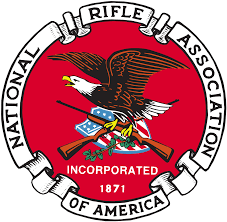 We are proud to be affiliates of those well known sport shooting organizations, and pleased to be associated with the National Shooting Sports Foundation (NSSF), the National Association of Shooting Ranges (NASR), the NRA and CMP. Mid-Carolina Rifle Club (MCRC) has an outdoor shooting range located about 2 miles south of the towns of South Congaree and Pineridge. Coming from the Greenville-Spartanburg area or I-20 East to I-26 East: Take exit 115 and take a right off the exit ramp (toward Swansea). At the traffic light at the top of the hill take a right onto Fish Hatchery Road. After about 5 miles, you will come to a stop sign, and a road sign that indicates Busbee Rd to the left, and Fish Hatchery Rd to the right. Turn Right. Once you pass Forest Manor Mobile Home Park, look for a blue sign that marks the range entrance on the left. Coming from Charleston, Orangeburg or I-95 South: Take exit 115 and take a left from the exit ramp (toward Swansea). Go under the interstate and continue to the traffic light at the top of the hill. Take a right onto Fish Hatchery Road. After about 5 miles, you will come to a stop sign, and a road sign that indicates Busbee Rd to the left, and Fish Hatchery Rd to the right. Turn Right. Once you pass Forest Manor Mobile Home Park, look for a blue sign that marks the range entrance on the left. From I-77 South Coming from Charlotte or I-20 West (Exit 76) to I-77 South As you approach the I-77 and I-26 interchange, you will see a sign for Exit 1 (Cayce). Exit here (before getting to I-26). At the end of the exit ramp, at the traffic light, proceed straight onto Fish Hatchery Road. After about 5 miles, you will come to a stop sign, and a road sign that indicates Busbee Rd to the left, and Fish Hatchery Rd to the right. Turn Right. Once you pass Forest Manor Mobile Home Park, look for a blue sign that marks the range entrance on the left.